Saying thank you to your mother is something we all wish we could do a little more often. Here, we've got some great ideas for thanking a mom, including some quotes and sample thank you notes. It should go without saying that a good mother is the most influential person in some one's life. The sacrifices that mothers make often go unrewarded and unappreciated, but not today! Yes, it is easy to take a mother's love and care for granted, but instead why not look for ways to thank your mother. Thank her both for the sacrifices that she has made in the past and the love and guidance that she continues to provide today. Check out our Thank You Poems for Parents. Keep in mind that not every type of thank you has to have a huge price tag on it. While your mother would probably appreciate a fabulous gift, there are plenty of ways to thank her without breaking the bank. Here are a couple of ideas. Many mothers would say that the best thank you is time spent with their children. It is easy to become so busy with your own life that spending time with your mom and dad becomes a very low priority. If you really want to know how to thank your mother, take a few hours each weekend to enjoy lunch together or just sit around the house and chat. This will likely mean more to her than any extravagant gift. 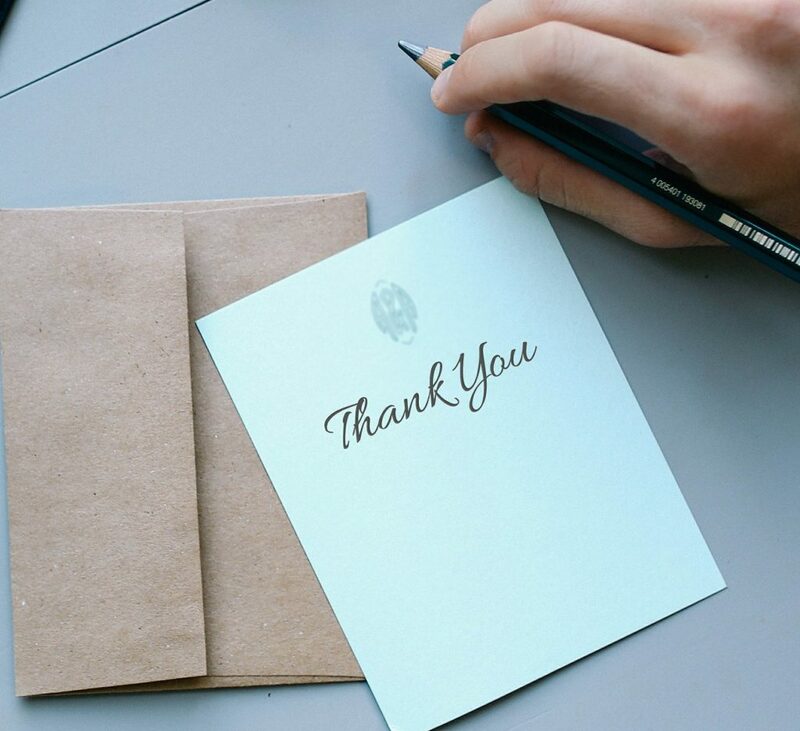 A thank you note to your mother is something that she is sure to treasure for years. Take the time to spell out how all of her dedication as your mother has changed your life and helped to make you the person that you are today. Handwritten is better than typed - even your chicken scratch will be more memorable than a typed letter. Be specific. Instead of a general "thanks for being a great mom", include specific details, such as how she never made you walk home from school in the rain or how she always made holidays extra special. In the next sections you will find some quotes and examples to help you write your own thank you note. Here are a few quotes that you may consider using in a thank you note to your mother. Check out our Full Collection of Thank You Quotes. Below are two great examples of thank you notes for mothers. Sometimes it can be nice to see a few examples of how other people word their thank you cards, before writing your own. I was thinking today about how blessed I am in life, and I realized that many of those blessings can be traced right back to you. For as long as I can remember you have shown me what it means to be a person of integrity and honor. You showed me what it means to put others first and to make choices that would benefit the entire family. As I now enjoy my own young family, I often look back to my own childhood for ideas and inspiration. My kids now enjoy custom made floppy hats during their pancake birthday breakfasts â€“ just like I did. I also know that I can call you for advice, and that makes me feel very secure in my job as a parent. Thank you, Mom. I know a lot of people say this, but I really do have the best mother in the world. I can't believe that I will be leaving for college next weekend. I am nervous, but I know I'm ready. You have taught me so much and many of the skills and values I'm sure will help me throughout my entire life. I do admit that I'm a bit spoiled. I will miss you waking me up with your singing and smiling. I'll miss your fabulous dinners and the silly notes you leave for me all over the house. There is no way to thank you for all you've done for me, so I will try to thank you by living a life that I know will make you proud of me. How Do You Thank Your Mother? Help inspire others by posting your best ideas for thanking your mother, and we'll publish them on this page!